Day 2 began at Critter Country. 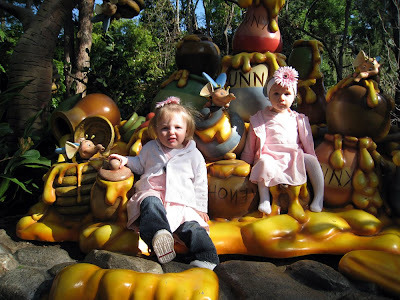 Ava and Annissa (avid fans of Tigger & Pooh), were ecstatic to find themselves surrounded by Winnie the Pooh's honey pots. 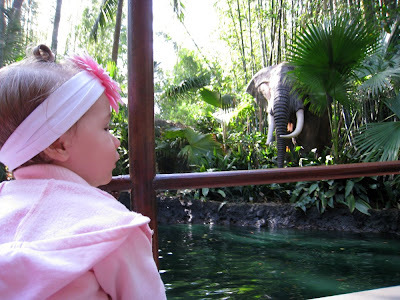 Next we were off to Adventureland for a Jungle Cruise. 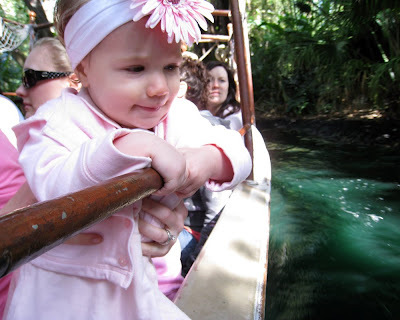 Ava was mainly fixated on how to get into the water until some of the wildlife caught her eye. 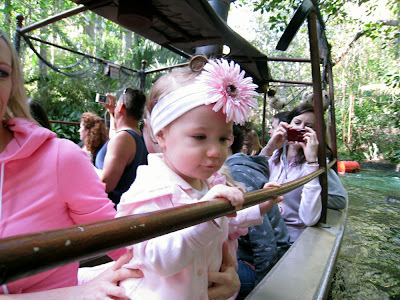 From that point forward she really started to enjoy our little safari. Although we think she still secretly longed to get in the water. 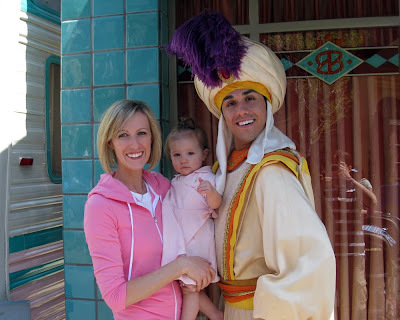 That afternoon we went over to California Adventure Park, where Ava got her pictures with several Disney characters including Aladdin. Then we decided to take a break for some family pictures. 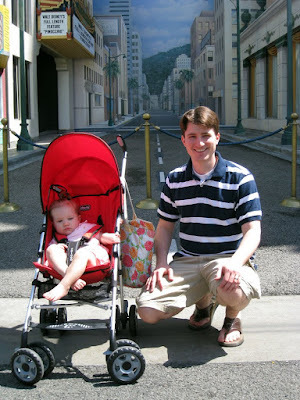 Ava wasn't very happy in the pictures because she was sad that the Playhouse Disney show had been canceled for the day. 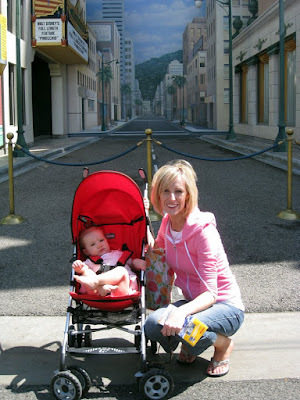 So we cheered her up by taking her on a ride over at A Bug's Land. 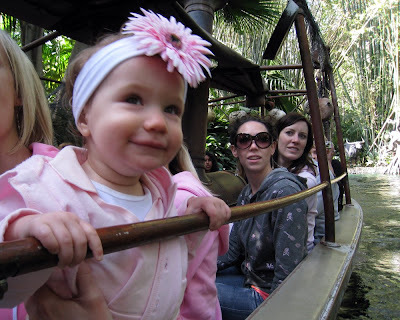 As you can see from this video, she quite enjoyed it (despite waiting in line for what must have felt like an eternity to a 15-month-old). Too cute...I especially love the song choice for the video!! She is so cute wiggling those little feet of hers!! Looks like the 2nd day was great too!! That looks like a ton of fun! Glad you had a nice trip. We're headed there this Sunday-any tips?